Bronzers are something that I had never been interested about until very recently. I was always scared of looking orange or unusually tanned since I don't fake tan the rest of my body. 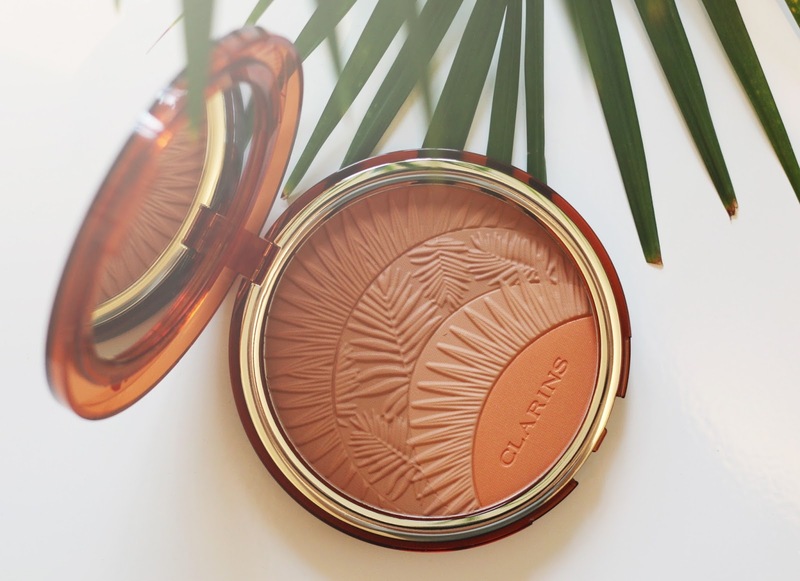 But lately I started really enjoying that sun kissed glow that bronzers give. The pretty palm print packaging and embossing might or might not have something to do with my sudden obsession, but I felt the urge to add three products to my collection. 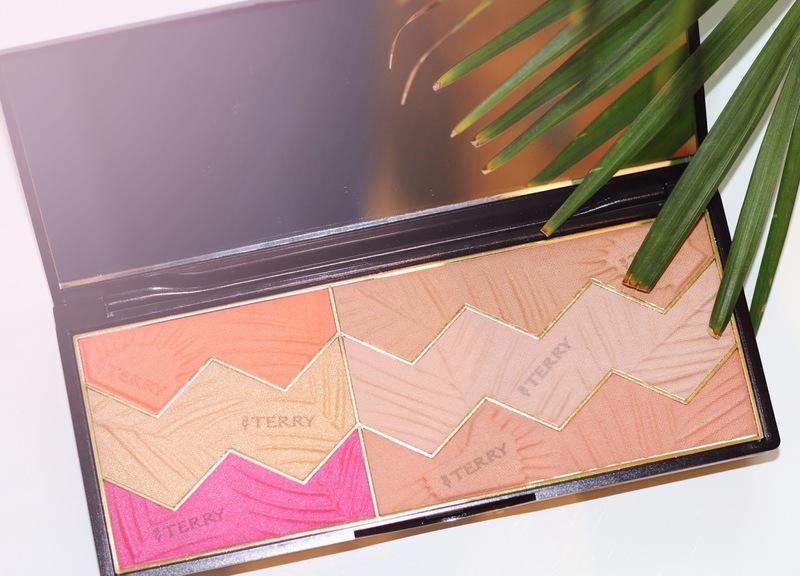 The By Terry Sun Designer palette in 3 Tropical Sunset is a thing of beauty, however it is not the most slap-and-dash bronzer of the bunch. The formula is nice and creamy, although a tad powdery. The issue I have with it is regarding the shade range. 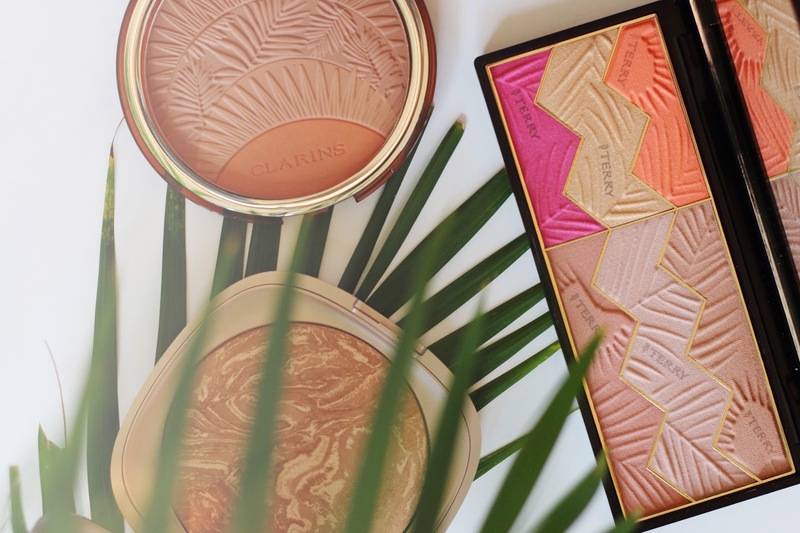 On the bronzer side of the palette, the only shade I would actually use as a bronzing powder is the top one, which not too warm and works well on my slightly tanned fair skin. The other two are very pink toned and work best as blushers. The actual blushers (on the left side) have a really nice formula and are long lasting, however the two shades are quite hard to wear on their own, so what I do is mix the two together or mix with the earthy tones on the right side. The highlighter is very warm and yellow so I can't use it on my cheeks, but it works as an eyeshadow and so do the three bronzing shades. 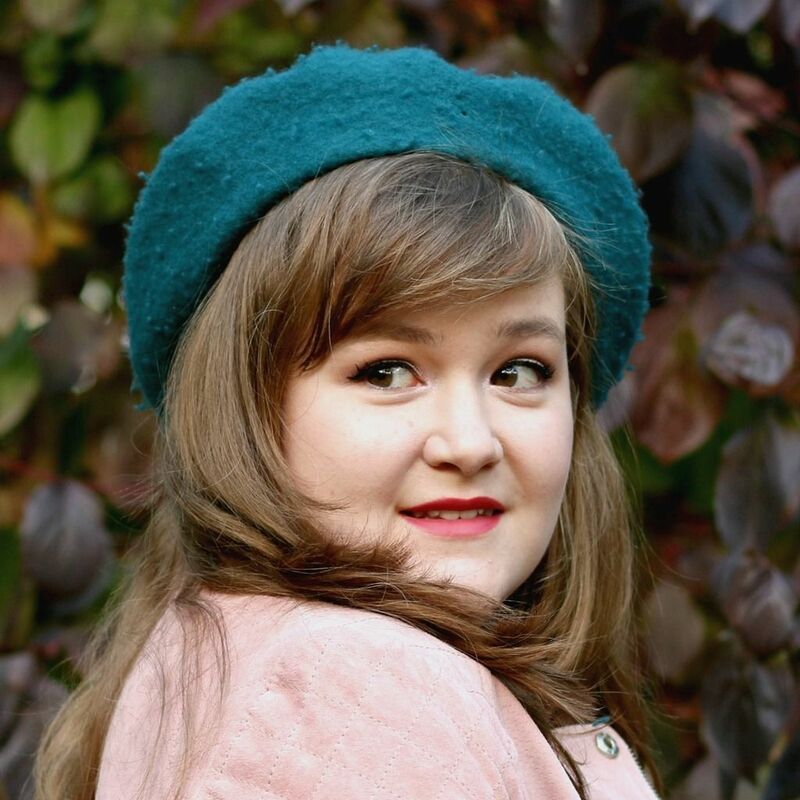 Overall, it is a very versatile palette that you can use for the face and the eyes (which makes it quite travel-friendly), however I wish the blushers were a bit more wearable and the bronzers a bit less pink so that I could swirl my brush around and apply without worrying about picking the wrong shade. 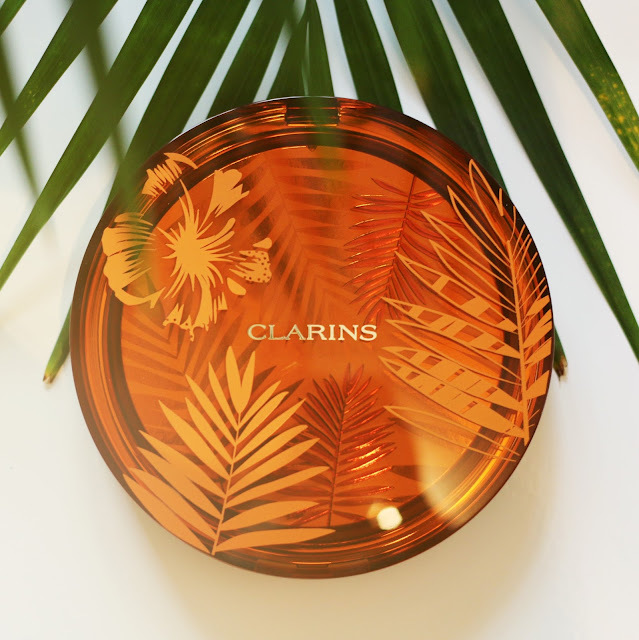 The Clarins Limited Edition Summer Bronzing and Blush Compact is just as beautiful. It is pigmented and not powdery at all. If I mix the two lightest parts I get the perfect shade for my skin tone and it's really nice to have a matching blush thrown into the mix. Definitely my favorite of the two high end ones. 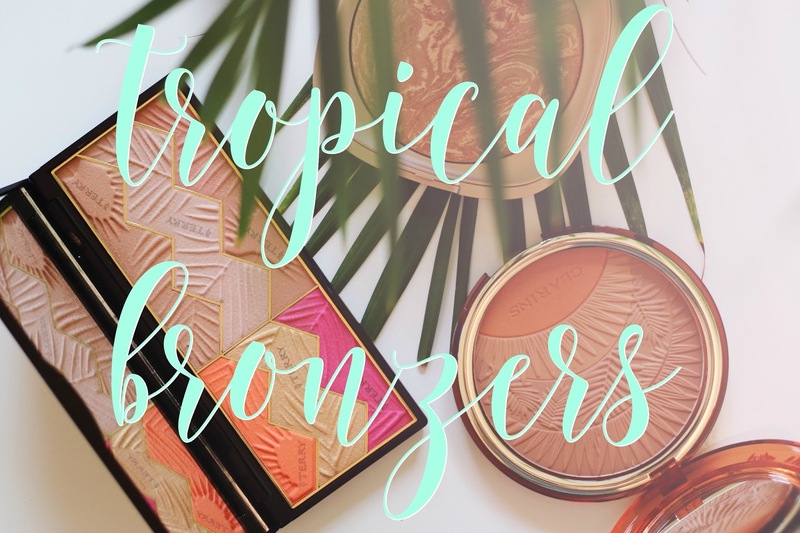 This Kiko Baked Bronzer was part of their limited edition summer collection, but it looks like they're reissuing it (or at least a very similar product) in their fall collection so you can still get your hands on it. 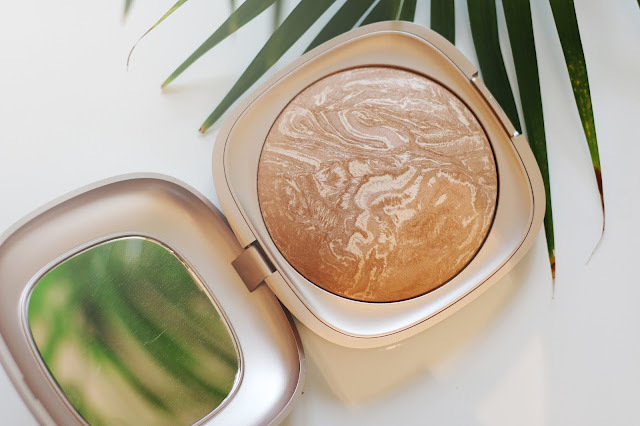 With its marbled look, it is very reminiscent of the Hourglass Ambient Lighting Bronzers, which I've never tried, but have heard lots of people rave about. It looks really nice on the skin and even though it contains a bit a shimmer, it is not detectable on the skin. 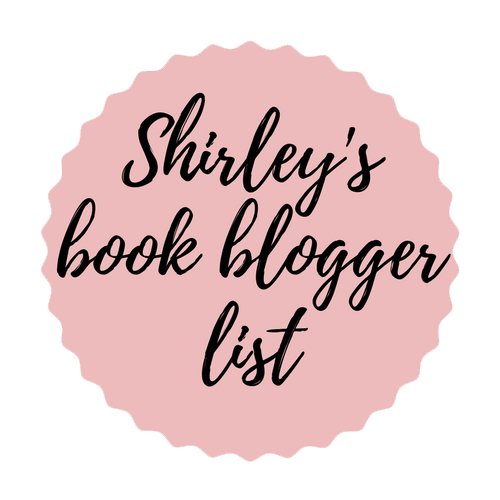 I also feel like you're getting a lot of product for a reasonable price, even more so since it is very pigmented and you don't need to use a lot, so it's a winner in my book!